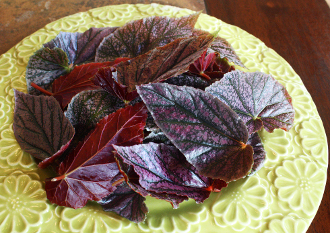 Medium sized, long oval leaves with a sharp point & a rich burgundy color. Great tart taste. Makes for a sophisticated edible bed. Fantastic with seafood or in salads.